At the European Cup Qualifier in Karlovac, Croatia three teams are still battling for the finals: Olimpija Karlovac, Leksand Lumberjacks and Zajcki Ljubljana. Day five of the first round on Friday will determine the two finalists. They will square off on Saturday with the winner securing a spot in the CEB Cup in next year’s competition for their federation. Zajcki Ljubljana overcame an early 0-3 deficit on route to defeat Gepardy Zory 8-6 on Thursday at the ECQ in Karlovac. Rok Vadas drove in two runs for Ljubljana and pitched a scoreless ninth for the save. Jaka Smolnikar allowed six hits, three runs (2 ER) and three walks in 7 2/3 innings to pick up the win in relief. Jakob Sokolowski struck out seven in five innings, but still had to settle for the loss. 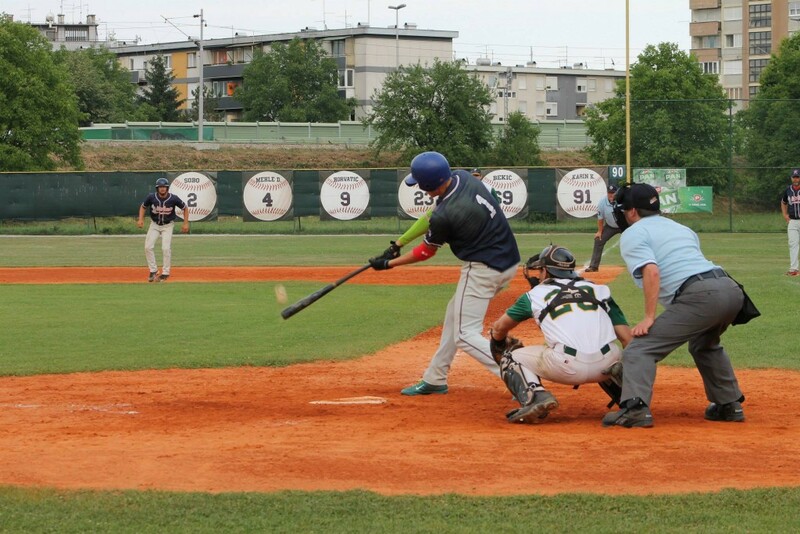 Olimpija Karlovac crushed the Leksand Lumberjacks 13-0 in seven innings on Thursday to improve to 3-0 in the tournament. For Leksand it was the first loss in four games. Six runs in the first and five in the fifth blew the score wide open. Kruno Gojkovic scored three times. Four players drove in two for Karlovac. Alen Vukmirovic gave up just three hits and two walks in a complete game shutout. James Brunswick got charged with seven runs (4 ER) on eight hits and two walks in three innings to take the loss.